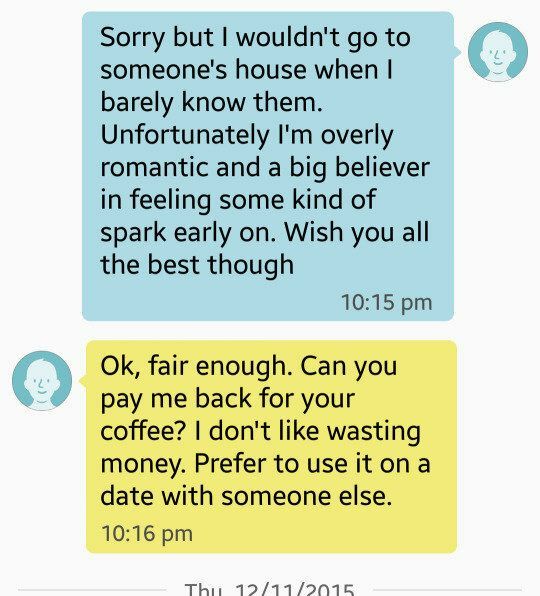 We’ve all had dates from hell but how many people have been asked to “pay back” a date who they’ve rejected — even if it’s just $5 for a cup of coffee? Dear guys this is not the way to deal with rejection. Read on. It happened to one U.K. woman Lauren Crouch as chronicled on her dating blog No Bad Dates, Just Good Stories. 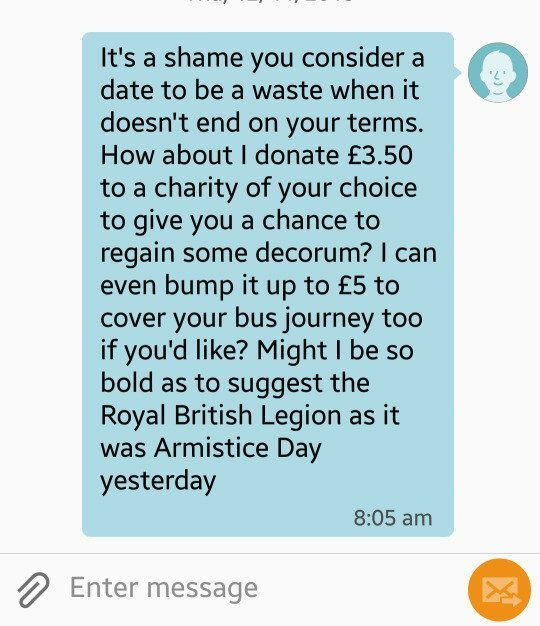 In a blog post published Thursday, Crouch wrote about a Tinder date gone terribly wrong, when a guy she just wasn’t feeling demanded that she pay him back the £3.50 (approximately $5.32) he spent on her coffee. Seriously, dude? Naturally, Crouch wasn’t too keen on going back to the home of someone she barely knew, so she declined, despite his persistent attempts to get her to say yes. 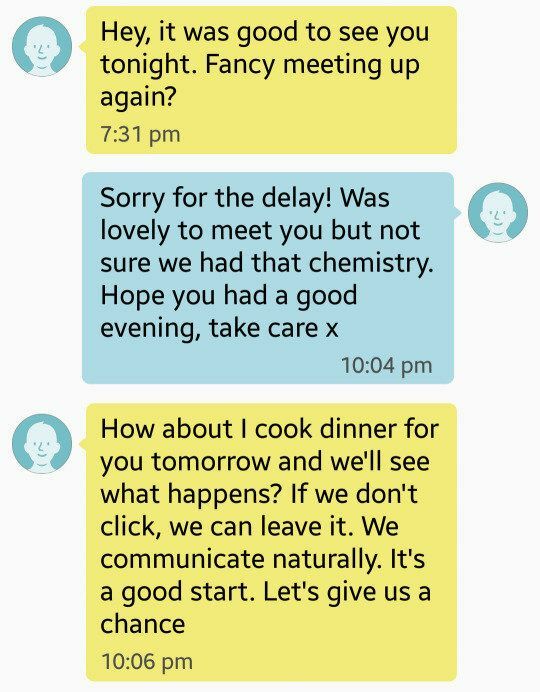 The two said their goodbyes, and what followed was a text exchange too good (and ridiculous) not to post here. How does the world’s most popular drug affect your brain?